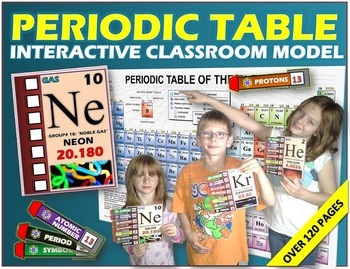 With many months of hard work, I have finally finished this project so that you and your students could have the most engaging and interactive classroom Periodic Table that has ever been created. You have seen many different types of Periodic Tables. 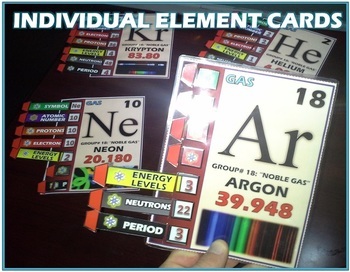 However, this Periodic table is nothing like you have seen before! Why? Well, you can use this table as a holistic reference that looks amazing hanging on your classroom wall. When all the elements are together, you are looking at a 15 ft by 10 ft periodic table. If you are familiar with my products, there is always something more as I always take my science products one step farther. 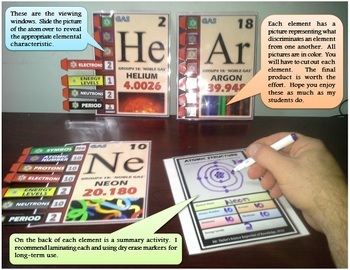 In this case, each element is designed to be an interactive teaching manipulative. Each element has 7 informational sliders embedded with viewing windows. Each slider gives particular information about that individual element. You can use this as an interactive authentic formative assessment. 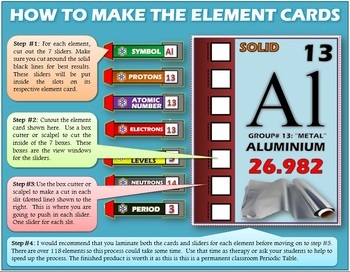 Please enjoy the preview and take advantage of this introductory price so that you can have this amazing Periodic Table in your classroom!